With a coastal home, you get the opportunity to enjoy the sand, sun, and water while making life long memories with your family and friends. But what makes this experience truly unforgettable is the design of your coastal home that lets you enjoy the nature and the company of your loved ones to the fullest. 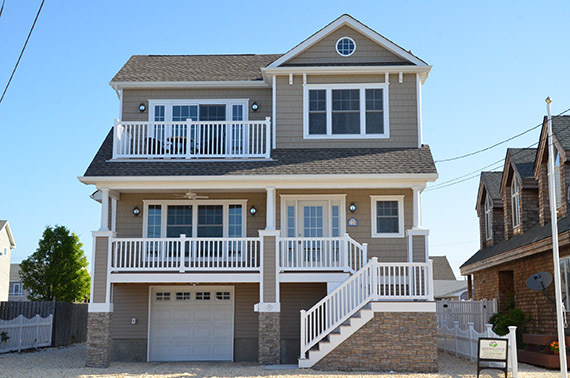 At Garden State Modular Homes, we don’t take the design of your dream beach front home lightly. There are many important factors that we as designers and you as a homeowner have to consider. So today, we want to take the time and share two coastal aesthetics that are important to incorporate in your beach front home. Most coastal home designs you see are porch-heavy. 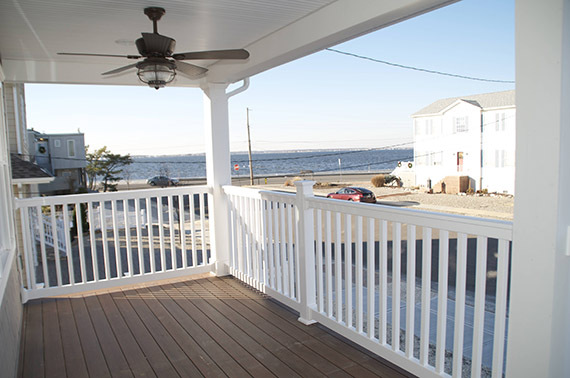 Homeowners want to enjoy the ocean views to the fullest by spending time outside. But what if you could enjoy those views from both your indoor and outdoor living areas while staying within your budget? You can ease your budget burden by doing more with less. When you make smart choices with materials and entry-placement, you can bring the coastal flare to even the simplest of designs. Plus, when the focus is placed on the inside as well as the outside, you can provide access to the views to be enjoyed from multiple spaces of the home. 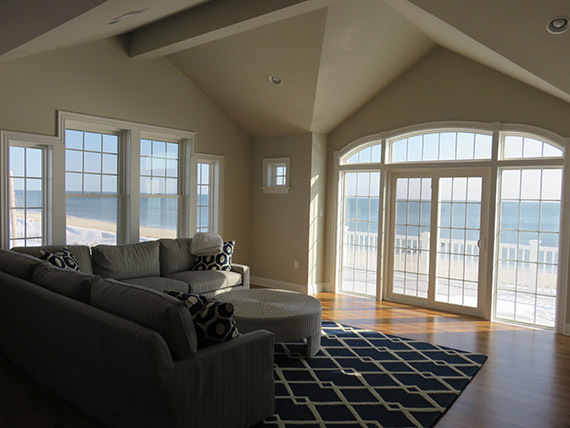 Many coastal homes are often shared by full-time home occupants and part-time visitors. It is important to think about the living and sleeping space for when your family and friends come to visit. During the design process of your coastal home, it is important to consider secondary living rooms and flex spaces. These are often used to take away the pressure of the main great room and make it more comfortable for additional guests to stay and enjoy your home alongside you. Both of these design factors aside, it is important to note that it can be frustrating when trying to find stock plans that meet your needs in a coastal home. And that’s where Garden State comes in! Our experts work with you to incorporate the design factors that you consider to be important in your dream coastal home. From the very beginning, we walk with you through the process of design and construction, to ensure that you get a beautiful and functional coastal home of your dreams. Let us turn your coastal home dreams into a reality. Call us today at (732)854-1985.